BELLEVILLE – The Trenton Golden Hawks will face off in an Ontario Junior Hockey League East Division rivalry matchup against the Kingston Voyageurs Thursday night. The club is currently second in the east division with 61 points. 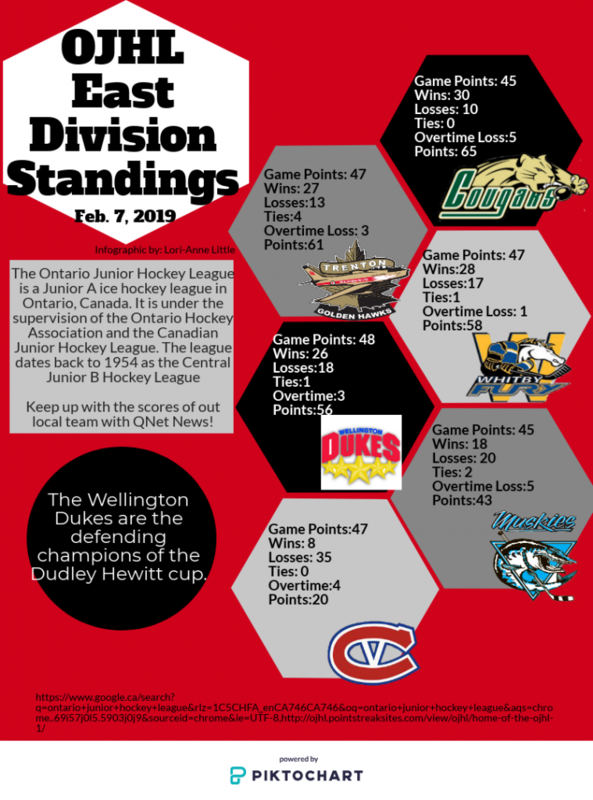 Trenton looks to be in a comfortable position to make the playoffs with seven games remaining in the season, and can clinch a spot if they win or can get to overtime in Thursday’s game. The Golden Hawks are on a four-game winning streak, scoring a massive 30 goals during that span. Golden Hawks forward Steven Elliott has 54 points for the season, which leads the team. He also netted three goals and eight assists in the last four games. Puck drop is at 7 p.m. in Kingston at the Invista Centre.